Poeltl had just six points, six rebounds, one steal, and one block in 24 minutes during Saturday's 101-96 victory over Denver. Poeltl played 21 minutes as a starter but managed just six points and six rebounds. The numbers were far from impressive, however, he certainly impacted the game, limiting Nikola Jokic to just 10 points on 4-of-9 shooting. He should continue to start for the duration of the series but is unlikely to put up any sort of dominant production. Poeltl will start Wednesday's game against the Nuggets, Tom Osborn of the San Antonio Express-News reports. 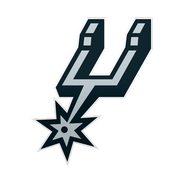 Poeltl will grab the start at center with LaMarcus Aldridge shifting down to power forward and Rudy Gay heading to the bench for Wednesday's game against the Nuggets. 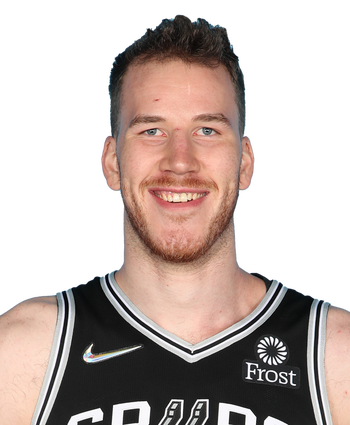 In 20 previous starts this year, Poeltl's averaging 5.5 points, 6.2 rebounds, 1.7 assists and 1.3 blocks in 21.3 minutes.